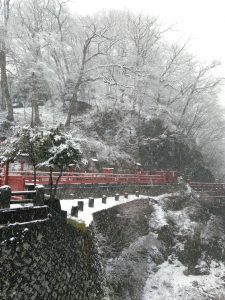 Nikko was snowing all day on the 10th. The highest temperature was 4 degrees Celsius. The cherry blossoms were still in flower buds, but the silver world of Nikko was dazzlingly beautiful. Spring has already come but only this day of the season felt like it was back in winter. 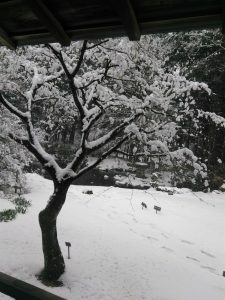 When warm days will come again in this spring season, Nikko will be filled with pink cherry blossoms.